Before your first marriage counselor session, you may be wondering what the counselor will tell you or what you’ll discuss. No need to be anxious about it! Your counselor is trained in this type of situation and is there to help facilitate healthy communication between you and your partner. If you’re still not convinced, here are a few things your marriage counselor will likely discuss with or tell you to do. This may sound like a strange thing to discuss with your marriage counselor, as you’re probably thinking, “fighting is why we’re here in the first place!” But hear us out. Fighting/arguing in a relationship is very healthy, if it’s done the right way. Fighting should end with understanding of others thoughts and feelings, not resentment or anger. On the other hand, a lack of fighting can also be a sign of trouble as well. Indifference in a relationship is never a good thing. Believe it or not, growth in a relationship continues for both parties. People can find themselves surprised that a spouse or significant other has developed beyond what they might have consciously noticed. Your marriage counselor may discuss if you’ve noticed growth or development in your spouse overtime. If you haven’t, that’s okay. Marriage counseling can help you begin to embrace the changes you see in your spouse, and in yourself. Remember the saying, “distance makes the heart grow fonder?” When you’ve been separated from your spouse, greeting him or her enthusiastically can be a great way to show you care. It might sound silly, but think about how you’d feel if after a separation your spouse seemed indifferent to your presence. Your marriage counselor may ask how you greet your spouse after a long absence. This could give him or her an indication of where the issues may lie. Saying “thank you,” is a simple way to show your appreciation for your spouse. Even when it comes to the “little” things, like your spouse DVRing your favorite show or remembering to tell you that it’s on, can go a very long way. In these instances, a simple “thank you” will show your spouse that you’re noticing the things he or she is doing for you. Your marriage counselor may address this subject, so try to be prepared with an example. 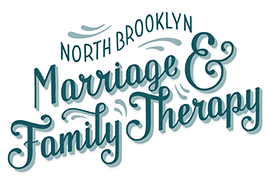 At North Brooklyn Marriage and Family Therapy, marriage counseling is at the core of our expertise. 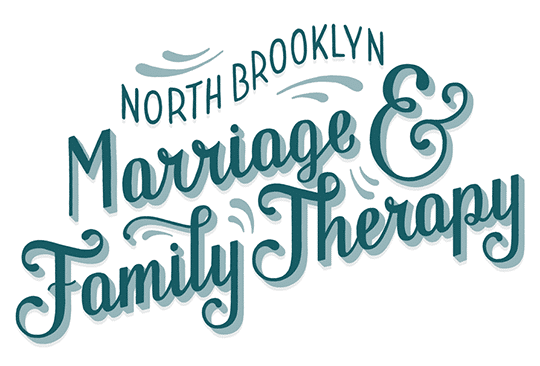 Our trained and certified professionals are ready to assist you in getting your marriage back on track or just learning great techniques to better communication in your marriage. Contact us today at our Williamsburg location to make your appointment.